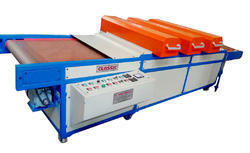 Leading Manufacturer of uv curing machine from Faridabad. Variable Speed With Ir Lamp. Available Sizes- 20", 25", 30", 36", 40"